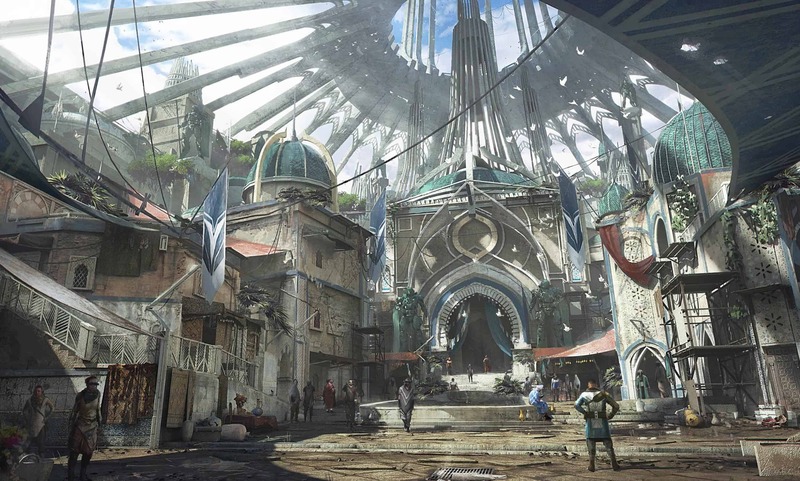 Bioware and EA’s newest multiplayer science fiction shooter, Anthem, is almost here. With less than a month to go before release, many personal computer (PC) gamers are wondering what kind of specifications (specs) they might need? Unlike console owners, PC gamers need to know exactly what the Anthem PC specs are in order to play. Whether to only try the game via a demo, or for when it releases, the PC specifications are integral to determining the kind of experiences that PC gamers will have. Thankfully, EA has proactively finalised and made public the Anthem PC specs. Perfect timing too, given how the Anthem demos have arrived, giving gamers a small taste of the final release. 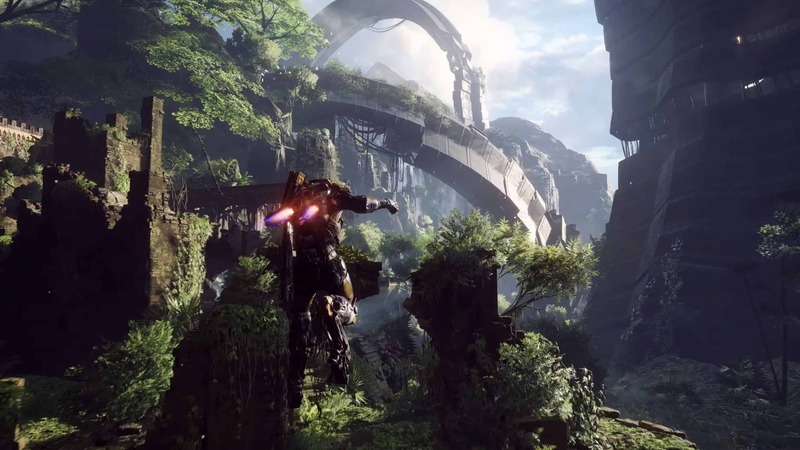 Given how gorgeous Anthem looks and the fact that it is running on the Frostbite engine that powers Battlefield V, it is safe to assume that a fairly decent PC build will be required to run the game in all of its glory. 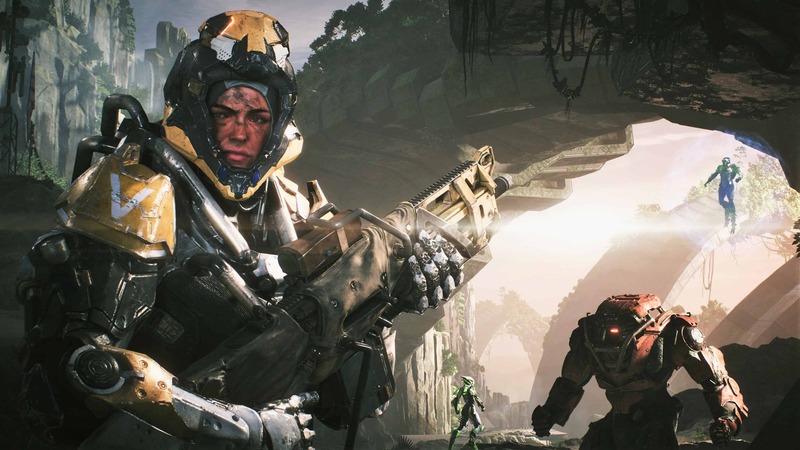 Although the Anthem PC specs have been released, there is no clear indication of how the game will run at the minimum and recommended options. With that said, Edward has a PC that fits in-between the minimum and recommended specs. 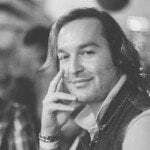 With his Intel i5 with an Nvidia GTX 970 and 16 GB RAM, he is able to run newish games at Full HD (1080p) with medium to high settings for graphical options. If you are curious to see how the game might run on your system, then I highly recommend downloading the demo. 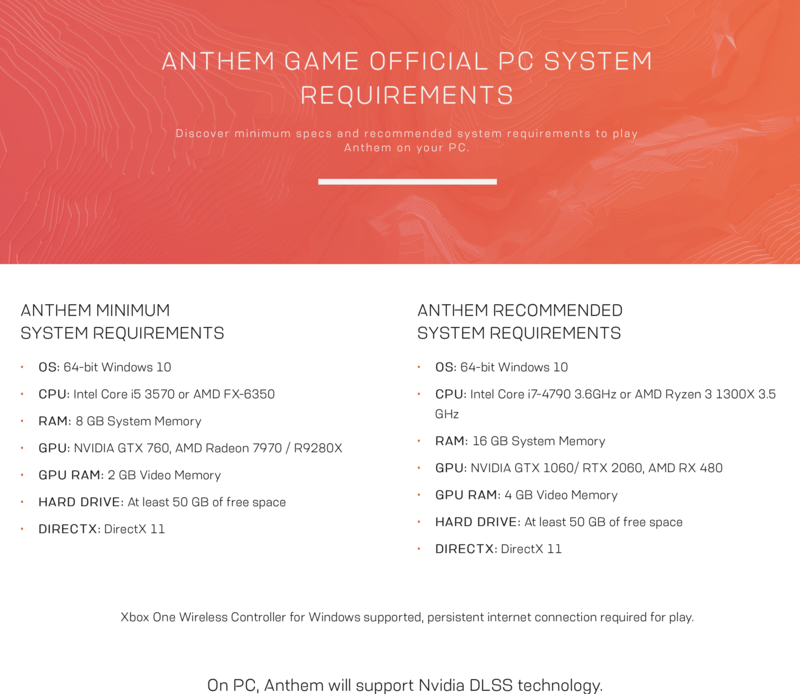 Doing so will not only offer you a small taste of the game, but it will also help determine if you have the minimum Anthem PC specs required to run the game once it releases on 22 February 2019. Next articleDon’t have friends? Anthem Matchmaking has the answer!